Posted on December 26, 2012 by Kristen. I spend all year going to shows and collecting songs and pictures and stories. I’ve spent the last month or so compiling some of my top musical memories into a music mix with accompanying booklet (my favorite little crafting project). So, here I share with you my top tracks of 2012. 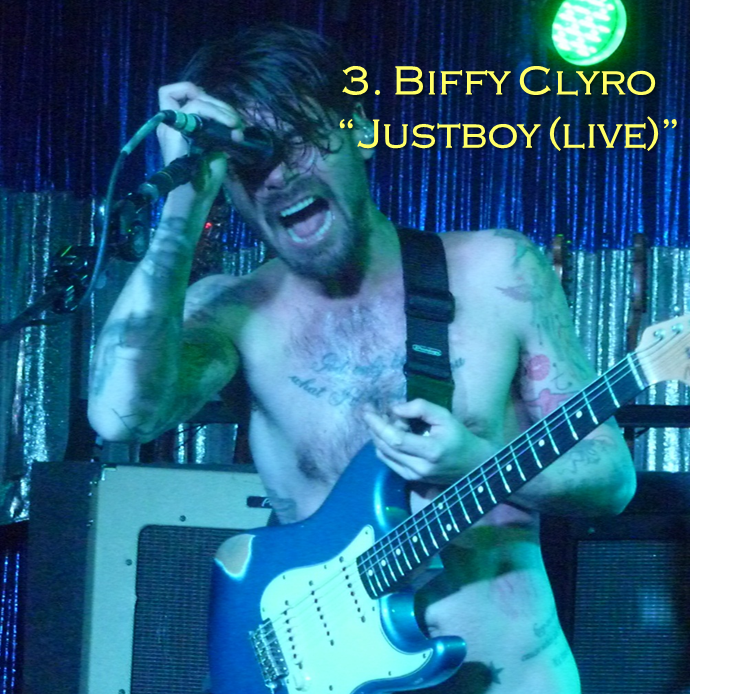 Biffy Clyro spent most of the year recording their forthcoming double album so they did not play many shows. I spent a ridiculous amount of money importing their Revolutions//Live at Wembley box and an equally ridiculous amount of time watching that DVD. My year was absolutely made when the band played an intimate LA show at The Satellite and I got the opportunity to interview singer, Simon Neil. Oh, and let’s not forget about the run-in I had with Simon outside The Roxy, which will absolutely go down as a life highlight.